South Yorkshire Police and Crime Commissioner, Dr Alan Billings, has today published an independent report which has provided reassurance that South Yorkshire Police has learnt from past mistakes and has changed the way it handles reports of child sexual exploitation in each of the districts – Doncaster, Rotherham, Sheffield and Barnsley. The report entitled ‘An Independent Review into South Yorkshire Police’s Handling of Child Sexual Exploitation 1997-2016’ was commissioned following the broadcast of a BBC Panorama programme in March 2015 which alleged that the Force failed to listen to hundreds of abused young people in Sheffield. This followed the high profile reports produced by Professor Alexis Jay and Louise Casey which identified failings across a number of agencies within Rotherham. Dr Billings appointed Professor John Drew CBE to undertake the review. Professor Drew is a former Chief Executive of the Youth Justice Board for England and Wales. Professor Drew has worked closely with South Yorkshire Police, partner organisations, former officers and staff, and, most importantly, survivors of child sexual exploitation, to understand how the Force has dealt with past reports of child sexual exploitation and whether things have changed. Dr Billings said: “I commissioned this report to provide myself and the public with reassurance that South Yorkshire Police has genuinely acknowledged and fully addressed non-recent, as well as present day, occurrences of child sexual exploitation. I wanted to be assured that there was nothing happening in Doncaster, Sheffield and Barnsley that was in any way similar to what had happened in Rotherham, and to be certain that plans are in place to ensure that nothing like this can happen again. “This report now gives me a much better idea of how the police have dealt with issues in the past and how their processes have changed in recent times. I am satisfied that during his review, Professor Drew has involved a wide selection of victims, partners, police officers and police staff in order to reach his conclusions and recommendations and I am confident that practices within the Force have changed for the better. In conducting his review Professor John Drew was supported by a small team of specialist advisors who assisted with the research and interviews. The review team has met and spoken with over 150 people whose responses have resulted in a number of recommendations and observations. Professor Drew said: “My brief was to conduct a thorough review of South Yorkshire Police’s handling of child sexual exploitation to provide Dr Billings with reassurance that practices had changed and lessons have been learned. “In conclusion, I believe that considerable lessons have been learned and that the practices that led to the catastrophic failures in Rotherham are not reoccurring today. Dr Billings also asked me to look at the past history in the whole of South Yorkshire. The history of the response to child sexual exploitation is complex, as I have outlined in my report. I am clear that South Yorkshire Police could and should have done more in the past to combat exploitation. But I did not uncover complete failure or denial of the sort that occurred in Rotherham between 1997 and 2007. I am satisfied that the Force has understood and acted upon the previous criticisms and the recommendations of previous scrutiny of its performance. “The way in which South Yorkshire Police officers and staff now respond to allegations of child sexual exploitation is very different from how it was in Rotherham in the past. There have been significant improvements since the publication of the Jay report and I credit the current leadership team for changing the priority afforded to combating child sexual exploitation. Ten years ago there was just one part-time officer allocated to work in this area, where there are now 68 full time staff and the rest of the Force view it as a priority area. There is also a strong commitment to multi-agency working, particularly between the Force and the Local Children’s Safeguarding Boards within South Yorkshire. “This change in direction is reflected in the higher level of prosecutions of offenders and charges being brought against those who are alleged to have carried out both historic and present day offences against children, most notably the recent success in the Operation Clover trial which saw six non-recent offenders sentenced to over 100 years between them. “However, there are still areas where I feel there is room for improvement and I include in my recommendations the need for improved intelligence gathering from within the community and more thorough supervision of the recording of evidence by investigators. The report makes 11 recommendations which are highlighted in Chapter 10 of the report. These recommendations include: a ‘gap analysis’ of all the reports and investigations undertaken to date and the results used as a basis for a new action plan; a review of the existing arrangements for formal meetings between the Force and victims, survivors and their families; that Local Children’s Safeguarding Boards commission ‘Lessons Learned’ reviews after the conclusion of each major investigation – ensuring victims, survivors and their families are central to those reviews and that a review of intelligence gathering is commissioned to be sure intelligence is handled promptly and appropriately. In summary, Dr Alan Billings added: “I have no doubt that the Senior Leadership Group of South Yorkshire Police is committed to improving the way in which they respond to child sexual exploitation reports. I will be meeting with them regularly to monitor their progress in delivering the recommendations to ensure that the public of South Yorkshire can have confidence that their Force will be doing everything it can to tackle child sexual exploitation and bring those who commit these heinous crimes to justice. South Yorkshire Police and Crime Commissioner, Dr Alan Billings has today (Wednesday 30 September) launched a review into South Yorkshire Police’s handling of reports of child sexual exploitation. The review was announced in March this year, following the Alexis Jay and Louise Casey reports that highlighted the scale of child sexual exploitation in Rotherham and a BBC report that alleged child sexual exploitation in Sheffield had been ignored by South Yorkshire Police. The review will be led by Professor John Drew and will look at how the Force has handled reports of child sexual exploitation to ensure that everything that can be reasonably known about the past is known. Led by Professor Drew, the report will establish whether South Yorkshire Police has understood and acted upon the findings of reports and inspections into matters of child sexual exploitation. It will also look at whether the Force’s response to safeguarding children and young people has been adequate, not just in Rotherham but across the whole of South Yorkshire. In setting out the terms of reference for the review, Dr Billings has considered the scope of other ongoing investigations and inspections by the National Crime Agency (NCA) and the Independent Police Complaints Commission (IPCC) and Her Majesty’s Inspectorate of Constabulary (HMIC) to avoid unnecessary duplication as well as the ongoing criminal investigations by South Yorkshire Police and pending prosecutions the Crown Prosecution Service. The review will focus initially on Barnsley, Doncaster and Sheffield, with Rotherham being looked at later in the process to ensure that it does not prejudice ongoing investigations and proceedings. Dr Alan Billings, South Yorkshire Police and Crime Commissioner said: “I want to be certain that South Yorkshire Police has genuinely acknowledged and fully addressed non-recent, as well as present day, occurrences of child sexual exploitation. I want to be assured that there was nothing happening in Sheffield, Doncaster and Barnsley that was in any way similar to what was happening in Rotherham, and to be certain that plans are place to ensure that nothing like this can happen again. A website has been published which outlines more details of the review and to provides a mechanism for members of the public, victims and survivors and former and serving police officers to input into the review to share their experiences and information. Professor John Drew will be supported in his review by a small team of specialist advisors who will be assisting with the research and interviews. Professor Drew said: “Over the last couple of months I have been working closely with the Office of the Police and Crime Commissioner to look at the scope of the review and prepare the ground ahead of the start of the review today. “I will be looking closely at the practices of South Yorkshire Police to ensure that what happened in Rotherham did not happen across the other three districts and that the lessons learned from the Jay and Casey reports have been acted upon and implemented. 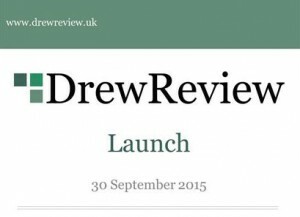 Anyone with any information should visit the website: www.drewreview.uk and complete the contact form. A report will be presented to the South Yorkshire Police and Crime Commissioner and will be made public early in 2016. For further information visit the Office of the South Yorkshire Police and Crime Commissioner website. Professor John Drew has today (23 March 2016) published the findings of his review. The full report is now available on the home page and in the news and links section of this website. Please complete and submit the secure contact form below to either provide information or to request a meeting with Professor Drew and/or another member of the Review Team.